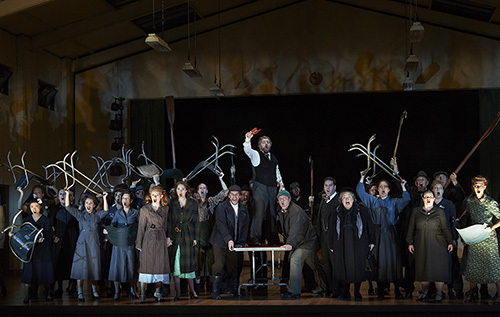 Last Chance for Peter Grimes! Following his deserved ovations in the COC’s Tristan und Isolde last season, celebrated tenor Ben Heppner returns to portray one of the most iconic roles in 20th-century opera – Peter Grimes. 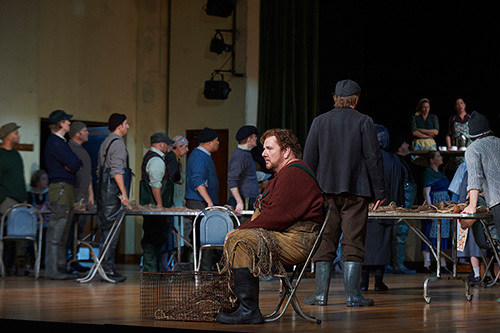 Benjamin Britten’s masterful composition of a tormented fisherman shunned by an unforgiving society is a favourite of Heppner’s, and he’s performed the role worldwide in over 40 performances in seven productions. In fact, as soon as the curtain comes down in Toronto in October, he is off to do it again in Vienna. In a sea-battered village on the east coast of England, a fisherman named Peter Grimes is suspected of murdering his young apprentice. But his crime – real or not – will soon be eclipsed by something more sinister: a nameless crowd united by hatred, out to persecute the lone outsider in their midst. In April 1939, with fascism casting a long shadow over Europe, English composer Benjamin Britten relocated to America. While working in California, he discovered the poetry of George Crabbe, an English writer from the late 1700s. Crabbe’s bracingly realistic depictions of village life in Suffolk filled Britten with nostalgia and homesickness. And the story of a cruel Aldeburgh fisherman, included in Crabbe’s 1810 collection, The Borough, gave Britten the seed of his first full-scale opera. In reading Crabbe, Britten noted, “I suddenly realised where I belonged and what I lacked.” A year later, he and his partner, tenor Peter Pears, sailed home for England.